The Ministry of National Defense signed a cooperation protocol in the field of information and communication technologies. As a part of the signed main protocol, Havelsan signed a sub-protocol with the Directorate General of Communications, Ministry of Transport, Maritime Affairs and Communications in the field of cyber security. The Ministry of Transport, Maritime Affairs and Communications and the Ministry of National Defense have taken actions in order to enhance collaboration in the field of information and communication technologies. At the ceremony held at the Ministry of Transport, the two ministries crown their intention to cooperate with a protocol. According to this, both Ministries will take joint action in the fields of Cyber Security, E-State Services, Cloud Computing, Electronic Communication Infrastructure and Superstructure, Public Safety and Emergency Communications. 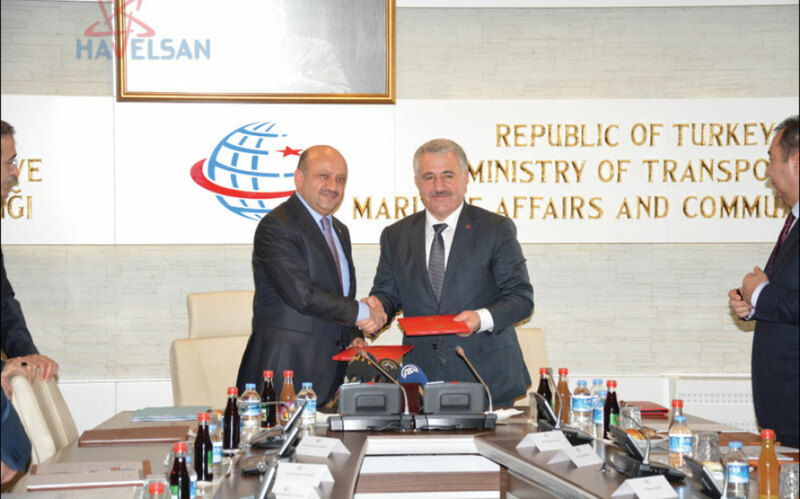 Simultaneously, a sub-protocol, as a part of the protocol signed by the abovementioned ministries, was signed between Havelsan and the Directorate General of Communications, Ministry of Transport, Maritime Affairs and Communications concerning R&D and domestic product development in the field of cyber security. Mr. Ahmet Hamdi Atalay, General Manager signed the protocol on behalf of Havelsan and Mr. Ensar Kılıç, General Director signed the protocol on behalf of the Directorate General of Communications. “We know that ensuring the security of information and communication infrastructures especially at the present time affects both our national security and competition at a significant level”. Minister Mr. Arslan said that the institutions could find opportunity to reinforce the cooperation fields and continued as follows “It will be ensured through the protocol signed between Havelsan and the Directorate General of Communications that the security software, which will be required in the field of cyber security, will be developed further and these implementations will be supported within the scope of the R&D studies of our ministry and also through this protocol, a cooperation will be made benefiting from the services at the Cyber Security Operation Center, established within the structure of Havelsan.” The Minister of Transport, Mr. Ahmet Arslan said.